New research published today by Eating Better, a powerful alliance of more than 50 organisations, shows that supermarkets need to shake up their ready meal ranges. They are not catering for the growing number of flexitarian customers who are cutting back on their meat eating for their health and the health of the planet. The survey of 1,350 ready meals from UK supermarkets found that meat still dominates the ready meal aisles and the provenance of the meat used as an ingredient is not always clear. Despite the rapid growth of interest in plant-based eating, Eating Better found that meat still dominates the ready meal aisles. Meat is the main ingredient in three out of four (77 percent) of the 1,350 different own-brand and branded ready meals surveyed from 10 retailers (Asda, Aldi, Co-op, Iceland, Lidl, Marks & Spencer, Morrisons, Sainsbury’s, Tesco and Waitrose). Overall only 3 percent of ready meals were plant-based choices (without meat, fish, dairy or egg) with Tesco, Waitrose and Sainsbury’s offering the largest number of choices. No plant-based options were found in Iceland and only one in M&S. The survey showed that retailers are selling vegetarian and vegan ranges at a premium price, making these options less accessible to all customers. "We busy Brits love convenience food, spending over £4.7 billion on ready meals in 2017. While there has been an explosion of interest in plant based eating and higher welfare meat, retailers are falling short on ready meals. Eating Better wants to see supermarkets increase their plant based and healthier vegetarian ready meal offer and also to use meat and dairy that meets higher animal welfare and environmental standards across the rest of their range." Startlingly, only three retailers (M&S, Waitrose and Co-op) include ingredient meat sourced for their own-brand ready meals in their farm animal welfare policies. While retailers are generally keen to promote the provenance and quality of their fresh meat, the research found that this didn’t apply to meat used as an ingredient in ready meals. Nearly 30 percent of meat-based ready meals did not indicate the country of origin of their meat. The Co-op and Waitrose were the only retailers Eating Better found in the survey to use British meat in all of their own-brand ready meals. There is a huge growth of interest in flexitarian eating – Eating Better’s 2017 YouGov survey found that 44 percent of British people are willing or already committed to cutting down on meat or cutting it out completely. 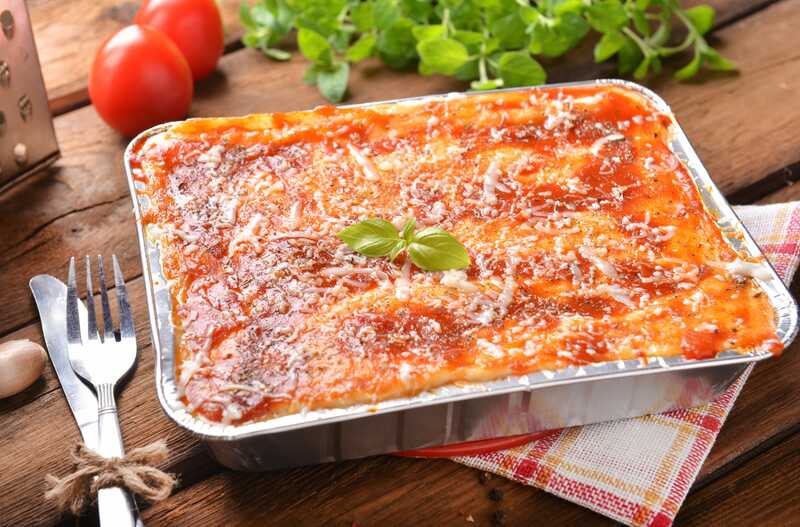 People want supermarkets to offer more meat-free ready meals or meals with less meat to help them reduce their meat consumption. Mintel report that 51 percent of ready meal buyers would be more likely to buy a ready meal with a guarantee of high animal welfare. Eating Better: for a fair, green, healthy future is a broad alliance, to help people move towards eating less but higher quality meat, and more food that’s better for people and the planet, as part of the vital task of creating sustainable food and farming systems. The alliance brings together 53 national supporting organisations and partner networks, from health, environment, international development, animal welfare, responsible producer, professional and faith interests.